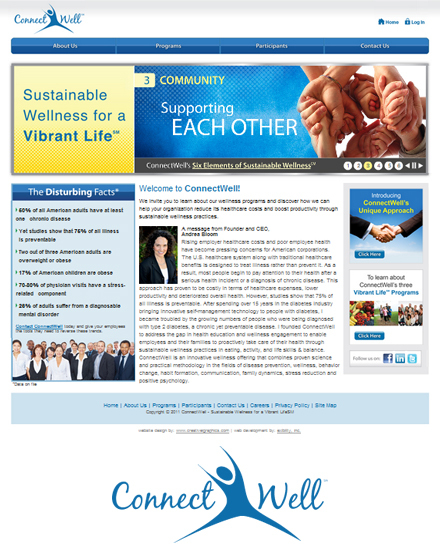 ConnectWell educates, inspires, and engages people in wellness practices to empower them to live a vibrant life, resulting in significant healthcare cost savings and increased productivity for the sponsoring corporation while enhancing the overall health and well-being of employees and their families. 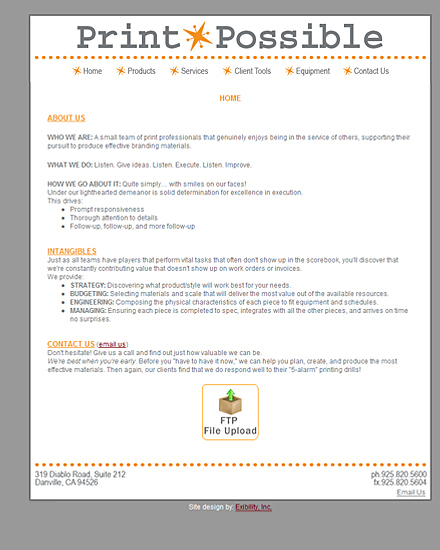 All web programming and development, design graphics not done by us. Joel Leiser is a professional angler. 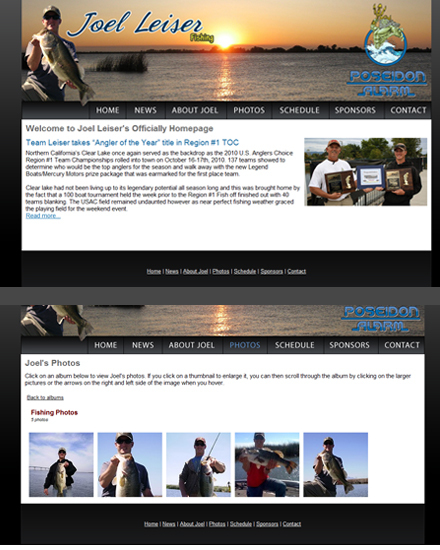 In 2010 he won the US Anglers Choice Region One Team Championships at Clear Lake, CA. 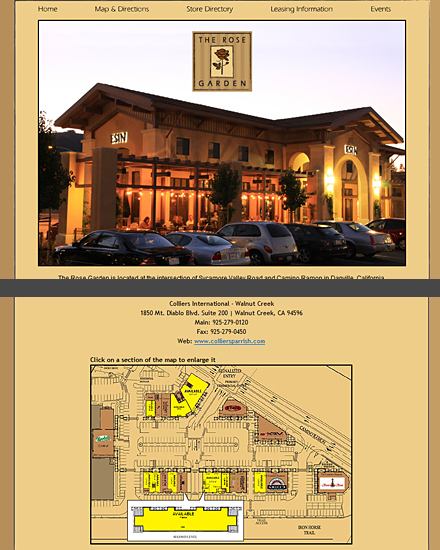 Complete web design, graphics and formatted photos and picasa web integration. 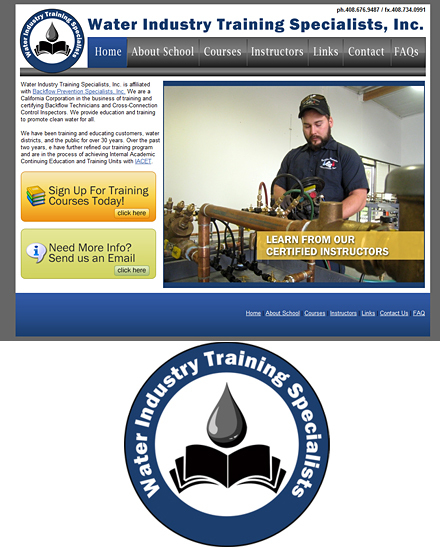 Water Industry Training Specialists, Inc.(WITS) is affiliated with Backflow Prevention Specialists, Inc. WITS is a California Corporation in the business of training and certifying Backflow Technicians and Cross-Connection Control Inspectors. They provide education and training to promote clean water for all. 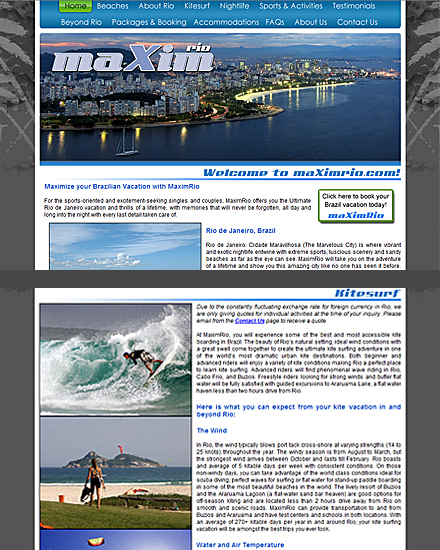 MaximRio provides the vacation of a lifetime to Rio de Janeiro, Brazil. With personalized service for all types of personalities. If you want to go on a vacation to kitesurf all day, rockclimb while overlooking the city, dance the night away in VIP fashion, tour the rainforest, or just enjoy the beautiful beaches of Rio, MaximRio is your one stop shop. Bella Ella is a new and unique jewelry shopping experience. We have the most diverse and stylish jewelry designed by various artists and manufacturers both local and internationally. We strive to bring to our customers the newest and most cutting edge styles hand selected by our team. We regularly comb the marketplace for new and innovative jewelry designers to add to our selections. Print Possible is a small team of print professionals that genuinely enjoys being in the service of others, supporting their pursuit to produce effective branding materials. 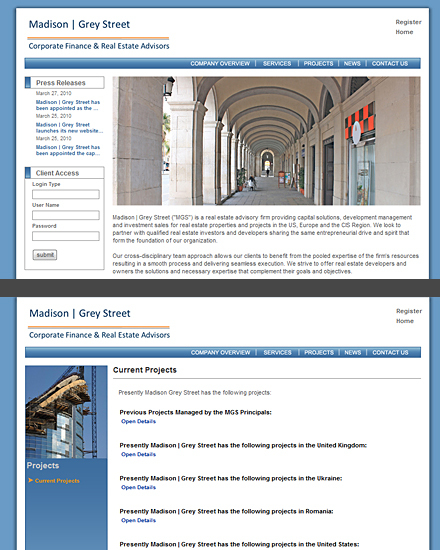 Madison | Grey Street ("MGS") is a real estate advisory firm providing capital solutions, development management and investment sales for real estate properties and projects in the US, Europe and the CIS Region. The Rose Garden is located at the intersection of Sycamore Valley Road and Camino Ramon in Danville, California. This community gathering place has it all! Food, fun, and a whole lot more await you at this lifestyle destination! 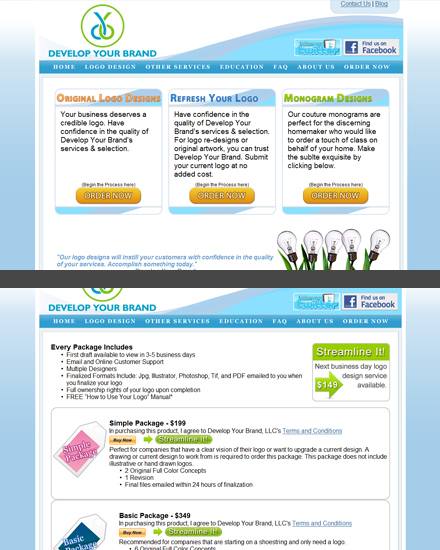 Develop Your Brand produces professional logos, web designs and graphics to help companies develop a corporate identity. Copyright © Exibility Inc., All Rights Reserved.